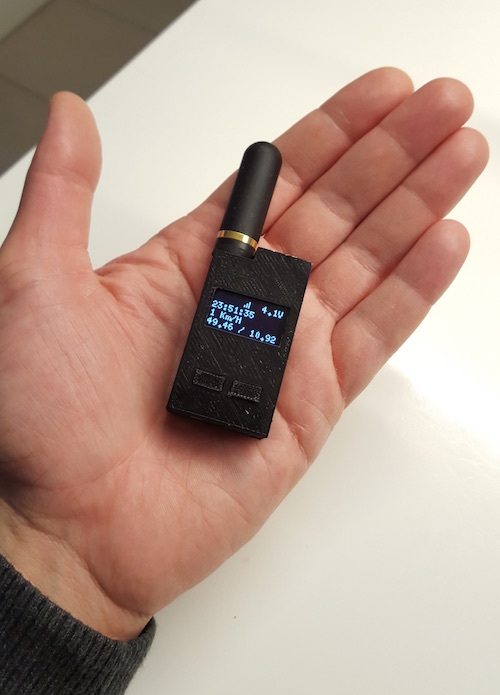 After a few months of development, I can now imagine the presumably world’s smallest APRS transceiver. 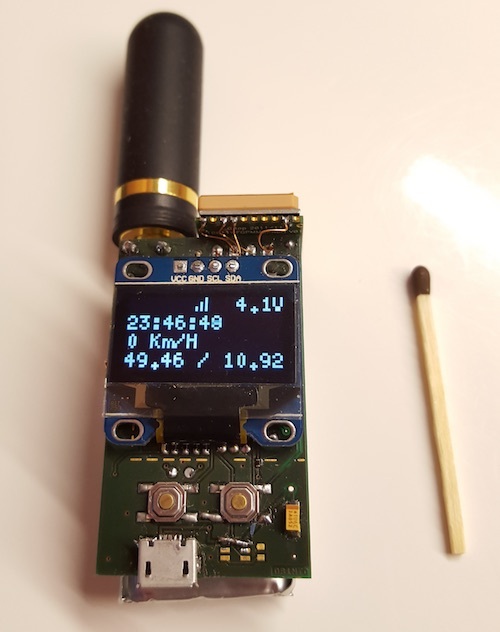 It is not only able to send a tracker of position data, but also a receiver can which releases other APRS APRS decode and display TV channels! This includes APRS position reports incl. Comment (even mic-e), messages (SMS) and status messages. In position reports the distance and direction in “degrees” to the transmitter will be displayed. My greatest thanks go to Mark -> http://unsigned.io/ of me with his “Micro Modem” and the free software “LibAPRS” -> https://github.com/markqvist/LibAPRS has enabled this tracker ever. The core of the transceiver is a ATmega 328P (“Arduino”). I have taken a lot of thought about the software and battery-saving features. For example: GPS is activated cyclically in battery operation and off to save battery. When the device is used in a building without GPS reception, the cycle for GPS search is automatically extended. Is connected to external power (USB), this feature is automatically disabled and GPS is constantly on. Position reports are sent only if they have a minimum distance to the last position report. The case I have drawn in Sketchup and printed out even with my 3D printer (Prusa i3). Remember me a lot of inquiries from around the world are currently being addressed through this project. 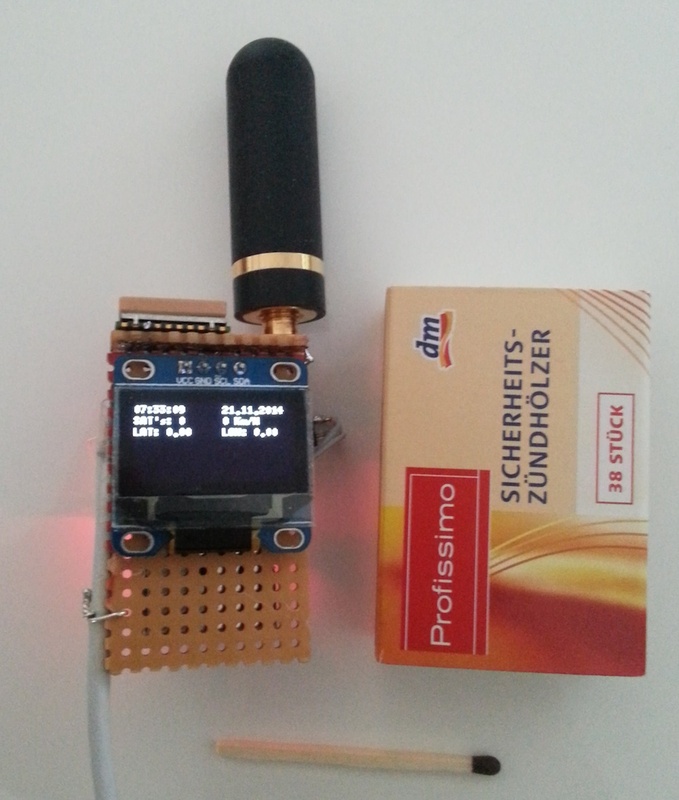 Currently I would like to publish any details (schematics, PCB layout and software) for this transceiver. I therefore ask not to send such requests.